If you are blogger or webmaster than you are very much aware of traffic. Traffic is must for blog or website. People start blogging just for the sake of money, but sometimes they cant succeed in their mission because of lack of traffic. Traffic is the main feature of blogging. An website or blog needs traffic, it is main source of any site. 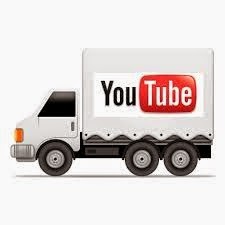 Well this article is based on Best 5 Ways to Drive Massive Traffic From YouTube to Blog. People always look up for some tips How they can boost up their blog readers, How to increase the Traffic in 2015. There are various options are available on how to increase the traffic. But this post is based on the tips to drive massive traffic from YouTube to blog. People watch videos on YouTube and also commenting, sharing, likes, dislikes and many more. But now YouTube become an source of gaining readers and traffic for the blog. This article is related with video blogging. Webmasters trying to drive huge traffic through YouTube. These are the sure shots tips via you can grab huge traffic. If you are going to upload the video on YouTube than make sure it is on Public support. Do not need any privacy. 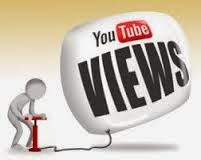 Your video should be viral and anybody can access or see it. Video should be high dimensional, clear and attractive. If your video is on public button than only your viewers will increase and much popularity you will gained for your video. You can also allow commenting section so that people and audience will discuss and give their feedback related to your video. Transcriptions play an vital role in the field of YouTube. An YouTube is the most viral networking site. People share the video, likes and comments on that. When you are going to upload the video, make sure that you have give the website description and transcription. An Transcription is basically an short bio of the video. It include short message, quote or describe the video in words. People can quickly read the transcription and know about the video. Give Tags to your video, you can provide an attractive title to your video, so that people will enjoy it. When ever you are creating the video, make sure it should be HD. Try to edit your video, You should give your website or blog URL in the starting or ending of the video. That's why more people will know about your blog and website. It is an effective way to advertise your blog and site. If you do so than much people will know about your blog, in short your blog daily page views will also increase. An important step while you increasing the traffic through YouTube. When you are ready with your video, and uploaded on YouTube than the final stage is come that is "Promotion". You can promote your video on various social networking sites like Facebook, Twitter, Google Plus, Stumble Upon etc. If you are promoting your video, it means you are increasing your viewers and popularity too. When you completing all the steps of uploading the video on YouTube than the last turn is to promote it worldwide. You blog should be well maintained and all widgets should be actively processed. Create some banners like Facebook banner Google Plus banner, YouTube banners on your blog and website. These banners should be in the given dimensions. Banners give an additional effective look to your blog. You can put the video of 3-4 minutes and you can change it time to time. Video should be in high quality. yes you are right we can easily drive traffic to our blog.